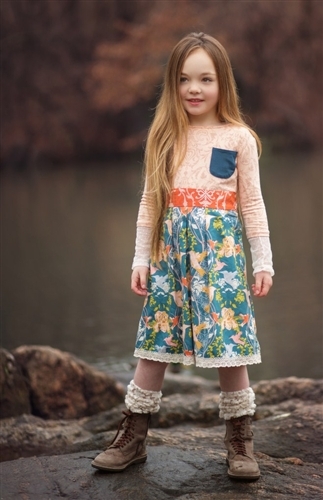 Persnickety Clothing Fall 2013As you probably know, Persnickety Clothing is one of our favorite boutique girls clothing lines. Persnickety's vintage inspired designs, outstanding quality and commitment to make this world a better place have captivated thousands of followers all over the world. 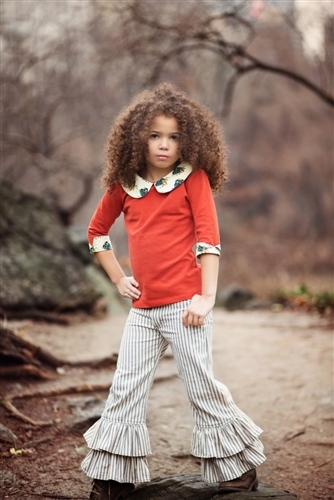 Persnickety Clothing "Golden Girl" fall 2013 collection is a charming combination of warm fall colors, intricate details and designs appropriate for girls of all ages. This season, Persnickety Clothing designers focused on creating a few grown-up looks for older girls, like this Long Sleeve Betty Top in Cream paired with Skinnies in Brown Dot, or Double Ruffle Jeans in Ticking and Short Sleeve Laylah Top in Red, or Persnickety Clothing Pepper Jacket in Red. 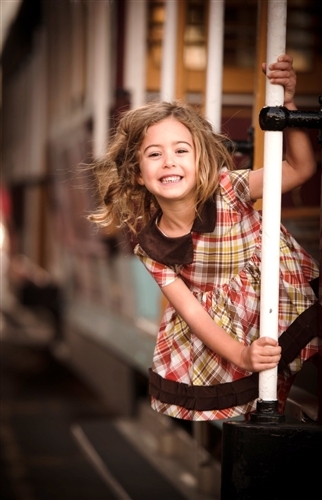 But don't worry, there are still plenty of sweet outfits for younger girls as well! 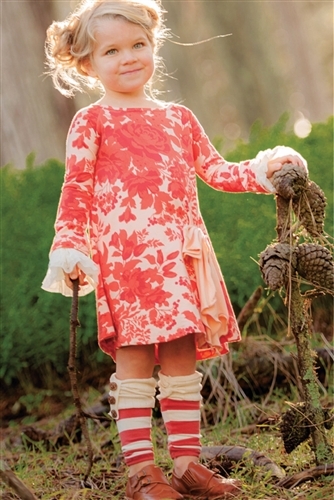 The staple of Persnickety Clothing "Golden Girl" collection is red Lou Lou dress which borrows its look from Persnickety's signature style - Lou Lou top. A couple more dresses worth mentioning are: long sleeve Sage dress and Persnickety Clothing Lucille dress in Floral. Both of these styles sold out very quickly and were much sought-after in previous seasons. 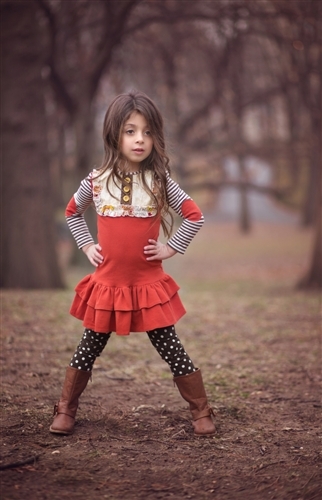 Persnickety Clothing "Golden Girl" collection is also a wonderful line for back-to-school outfits with its red and brown colors, tartan print and endless outfit and layering options. A few favorite back-to-school pieces from this collection are: Persnickety Clothing Fern Skirt paired with Long Sleeve Betty Top in Cream, Persnickety Clothing Baby Doll Dress in Tartan and Persnickety Clothing Long Sleeve Clara Estelle Top in Tartan paired with either Lily skirt or leggings. As always, all preorders qualify for 25% or 50% down payment with codes PREORDER25 or PREORDER50. The rest is due when your order is ready to be shipped. 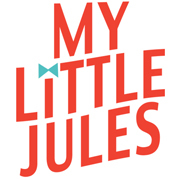 My Little Jules boutique is now offering MLJ Easy Payment Plans on orders $150 or more. Please call us during our regular business hours to place your MLJ Easy Payment Plan order:1-866-322-2783.